 James River Granite & Marble is a fabrication and installation design firm. Located in Chesterfield County, Virginia, we combine old-world craftsmanship and innovative techniques for everything from countertops to vanities for your home. We do it all, at affordable prices. We pride ourselves on being large enough to handle any orders for granite countertops, yet small enough to provide you with the personal attention to details. We provide service for commercial and residential projects and guarantee you the best price in the area. Granite is the most durable counter top surface available today. Not only does James River Granite & Marble offer a quality product, but also it offers unique choices for your home. You can learn more about available color choices by simply giving us a call. James River Granite & Marble does not stop innovating and offering better customer service and more options for you. We have achieved excellence in communication and client attention so that "complete satisfaction" is not rhetoric. We manufacture our granite from start to finish, with no subcontractors. We personally inspect every piece of granite to make sure it meets our exacting standard, from cut to polish, from edging to size, we make sure it is top quality or we do not sell it.